Learn about the innovating, driving force behind Neuline. Purely effective racing products that improve upon existing and solve your fundamental problems. That is our focus behind everything we design at Neuline. We believe that there are no limitations to what we can design, manufacture, and execute! We have strived to integrate this concept into every one of our products. Neuline was founded by Curtis J. Neumann, a racer who has more than a decade of experience in auto racing coupled with a formal educational background in mechanical engineering. Curtis Neumann graduated with his bachelor's of science in mechanical engineering from the University of South Florida. After, Curtis worked as a design and manufacturing engineer for Richardson Racing Products. There he gained relevant-work experience alongside NASCAR Research and Development Center's engineers to manufacture inspection templates for NASCAR's top three series. In addition, he developed various lightweight aluminum racing products like: SFI certified racing seats, fuel components, among others for NASCAR and the weekend warriors nationwide. Over the years Curtis acquired an education and developed the passion and determination to design several racing products to solve commonly encountered issues. This became the seed that grew into the idea that led to everything Neuline is today! #TeamNeuline is dedicated to you by making sure you receive our best quality in racing products along with all of our knowledge of how that product works. It is a simple and effective concept we call Active Innovation. We provide you with all of the support and information you need such as virtual video tutorials, instructional manuals, and excellent customer service to answer your questions on the spot. At Neuline, we develop our products using the very latest in manufacturing technology, including CAD software. By using advanced CAD simulation software, we can reduce the number of prototypes for each of our products, and get racers hands on effectively and safely. Additionally, we have developed our 'Partnership' pricing structure, allowing independent race teams, influencers, and small dealers to work with Neuline directly as we work to run our products on every chassis in America! As the founder of Neuline Limited Liability Company, I started this company with integrity, honesty, and transparency, values which I try to convey to my customers daily. If you have any questions, comments, or suggestions, please use the Contact Us page on our website. Once we receive your message, I will respond in a timely fashion. I look forward to hearing from you. We are not just a company that delivers amazing products. We are three generations of passionate weekend warrior racers! Three Generations of Neumann racing history has laid the foundation for NEULINE. Neuline owner Curtis Neumann is the third generation driver to continue the legacy of winning as a Neumann. The Neumann name has been synonymous with winning races and championships around the State of Florida. Curtis' grandfather, Herb Neumann Sr. got started in kart racing in Long Island, New York in 1959. It did not take Herb Sr. long to introduce the whole Neumann family to racing when he built his wife, Kathy Neumann a kart of her own. The trend followed with Herb Sr.'s first born son, George Neumann (Curtis' Uncle) and their third child Herb Neumann Jr. (Curtis' Father). The Neumann family's passion for motorsports began here. Herb Sr. and Kathy traveled with their children all over the east coast attending all the major karting events. Herb Sr., George, and Herb Jr. all proved their talent winning numerous races all over the east coast. The next chapter was set to begin for the Neumann family when they moved from New York down to Florida in 1983. 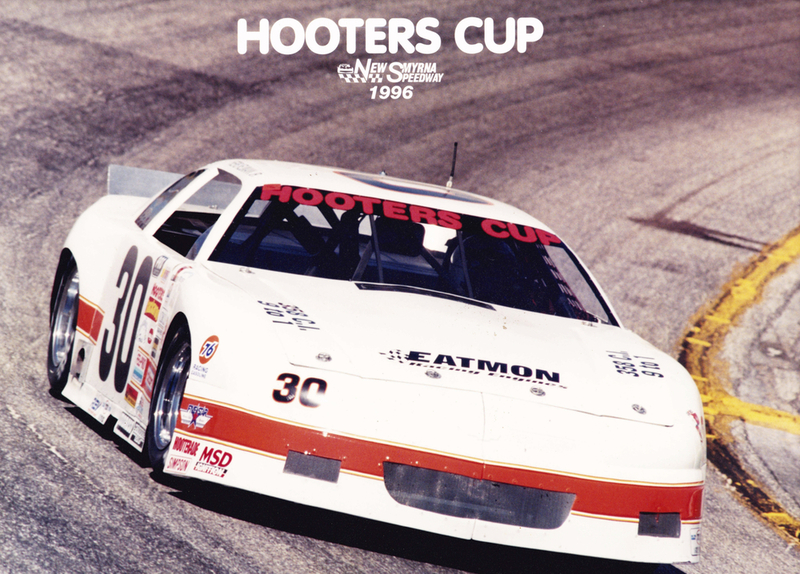 In 1986, Herb Sr. was the first Neumann to step into a stock car when his friend asked him to drive in a 100 lap race at Citrus County Speedway. Even though it was Herb Sr.'s first time in a stock car and he had 92 other competitors to contend with, he found his way to the checkered flag first. Herb Sr. decided to build his own car and start racing at Citrus County Speedway on a weekly basis. After winning the championship in the Sportsmen class in 1998, at the age of 64 he decided to retire from driving. Herb Sr. continued to support his family's racing addiction, and most importantly pass along everything he learned over his years, to his grandson, Curtis. Curtis' Uncle, George, had a lot of success running the family karts in Long Island, winning over 15 championships. He also discovered his joy for building his own engines and parts and eventually opened his very own kart shop at the age of 21. After following the rest of the family down to Florida, Herb Sr. introduced George to stock car racing. Just like his father, George had a natural talent for driving stock cars and began winning races right away. It did not take George long to move from the Street Stock class to the Mini Stock class. George would recall his days of building his own kart engines and transform that knowledge to building his own 4 cylinder Ford engines for his mini stock. Needless to say, his superior understanding of engine dynamics and painstaking attention to detail would help him claim 4 Mini Stock championships before he decided to retire as a driver as well. Herb Neumann Jr. (Curtis' Father) had a natural talent for racing at a very young age. He started racing karts at the age of 9 and started winning right away. Herb Jr. would travel the east coast claiming victories at just about every track they stopped at and at the young age of 15, Herb Jr. would hold the first ever Duffy Trophy in victory lane by winning the Grand National Championship with the International Kart Federation. His success continued to stock cars after moving down to Florida in 1979. Herb Jr.'s racing history has taken him through just about every type of car there is to drive all with the same end result; him standing in the winners circle with the trophy. He has competed in Bombers, Enduro Cars, Street Stocks, Mini Stocks, Limited Sportsmen, Hooter's Pro Cup Series, Super Late Models, Open Wheel Modifieds, Sprint Cars, and still more to come. Between all of these classes he has claimed 15 championships with his latest one in 2014 at Citrus County Speedway in his first season driving a wingless Sprint Car. Today Herb Jr. travels the State of Florida competing in Super Late Models, Open Wheel Modifieds, and Sprint Cars. Herb Jr. continues to have a passion and a tenacious desire to win unlike anybody else in this sport. Curtis Neumann started racing at age 14 in the Hobby Stock division at Citrus County Speedway after he built his first race car with his father. Part of being a Neumann racer is a complete understanding of the car you are driving which is why Herb Jr. would make Curtis build every car he raced in. Curtis competed successfully in the Hobby Stock division for three years and then moved to the Open Wheel Modified division. 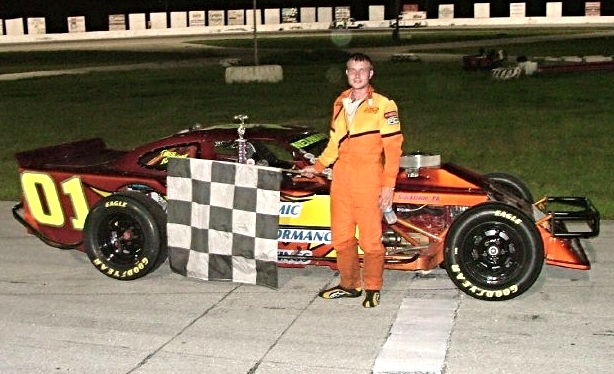 He would continue the Neumann racing success with one Open Wheel Modified Championship at Citrus County Speedway, a two track shootout championship at Ocala Speedway and Citrus County Speedway, Rookie of the Year and 2nd place in points in the Gulfcoast Modified Series, and winning numerous prestigious races like the Eddie Brann Memorial. For most of his years racing an Open Wheel Modified, Curtis was also working on his bachelors degree in Mechanical Engineering at the University of South Florida. After graduating, Curtis moved to Concord, North Carolina to start his life as an engineer in the center of the NASCAR world. He worked as a design and manufacturing engineer for Richardson Racing Products for three years. After moving from Concord to Raleigh, North Carolina he decided to start Neuline Limited Liability Company. The Neumann family is proud to have such a tight connection with motorsports. Auto racing has been a fun and addictive activity for the whole family to be apart of. Many great memories are built spending time together around the race car shop in the evenings and being at our local short track every Saturday night. Every individual and family story, like the one above, collectively contribute to the success of motorsports. We hope that we can help you with whatever you want to accomplish in motorsports by utilizing our family experiences and knowledge to continue to produce better and more effective products for you.